NEW PRICE! Great home that needs work but not as much as you think! A little sweat equity will go far in this home. Looking for room? Have lots of toys like 4 wheelers or boats? This is the home for you. 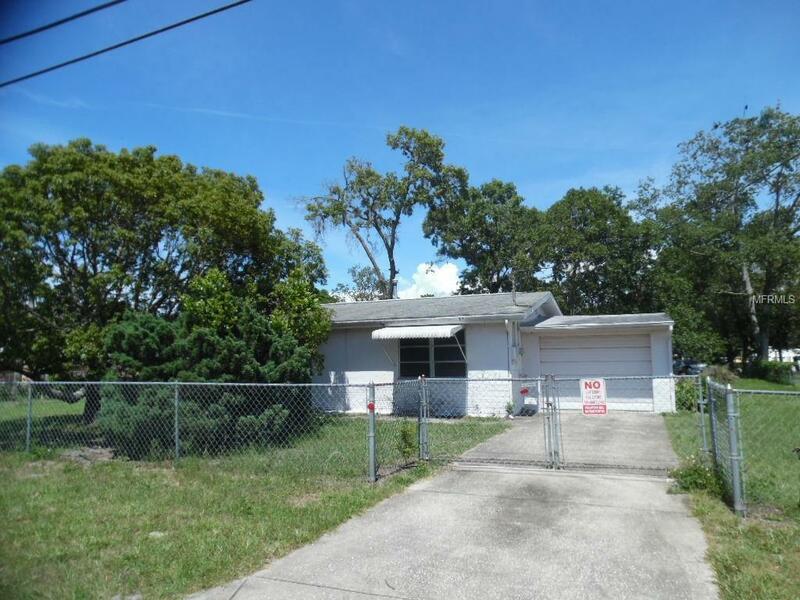 2 bedroom, 2 bath home located on 1/2 acre in Parkwood Acres. Property is fully fenced with 2 access gates. Good floorplan with a Living Room opening to the large country style eat in kitchen. Tons of cabinets & counterspace! Sliders from the kitchen lead out to the screened porch. Newer laminate flooring in the Living Room. Bathroom has a handicap walk in shower for easy access. The feature that I like the most is the screened porch that stretches the entire length of the rear of the home. Really adds to your living space and lets you enjoy the large back yard of the property. Wonderful for entertaining! Plenty of room for a pool or detached garage if desired. 1 car attached garage too! Lots of great features including a newer AC, a water softener, ceiling fans in every room and a shed for extra storage. Parkwood Acres is conveniently located off SR52 with great access to the Suncoast Parkway and Tampa with all its great activities!